The Perfect Wedding Day Bra Fit. Lingerie, foundation wear, whatever you chose to call it. The one thing that’s set in stone is, it’s crucial for your appearance. Without it, things won’t be as pretty as you think. So in order to insure you’re looking your absolute best in that stunning gown, here’s a great little guide by Wedding Planner. 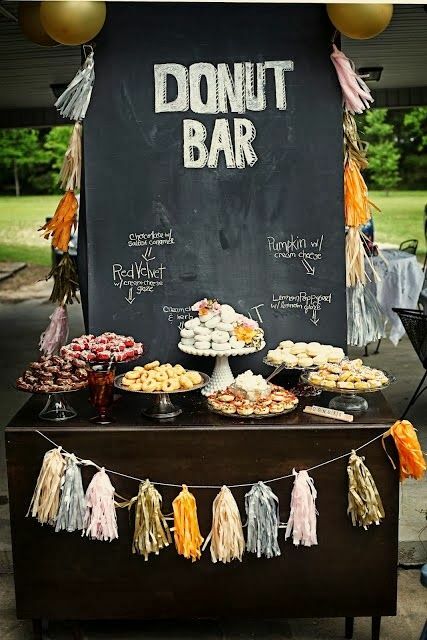 A Great Touch for a Spring Wedding. One of the most iconic flowers of spring is the cherry blossom. 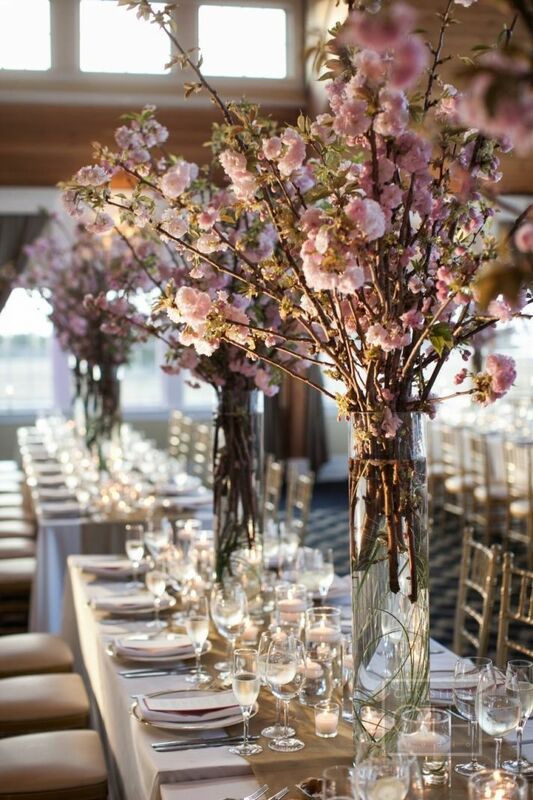 So if you’re holding your wedding during these early days of spring, try adding these beautiful flowers to your table design. 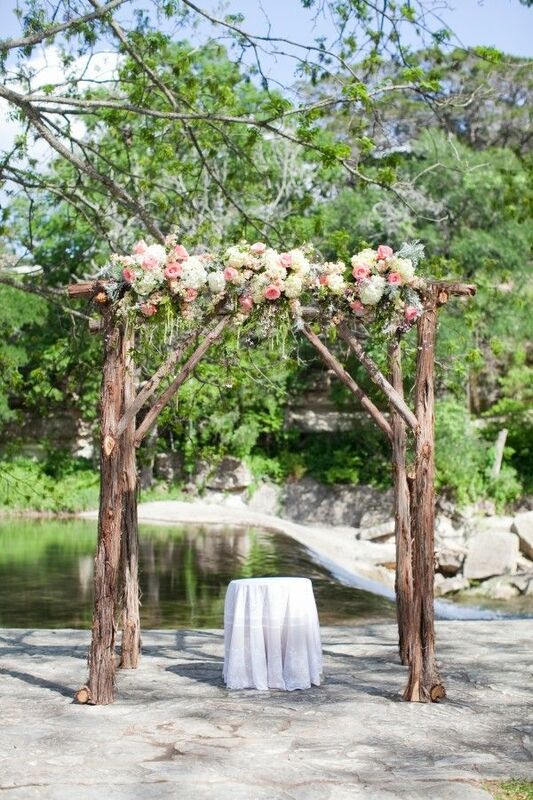 This outdoor floral alter is a beauty touch to a spring wedding. 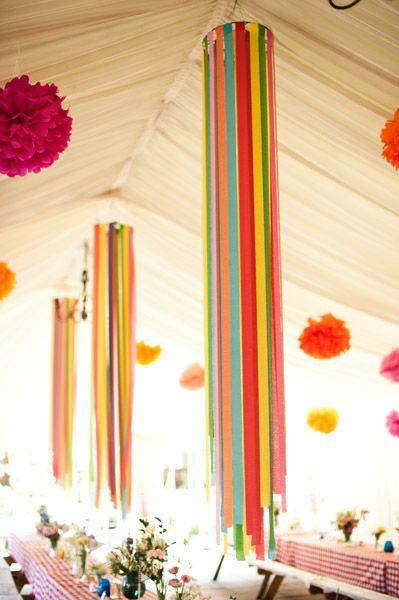 Being as we’re in Spring I thought it’d be nice to share a colorful idea for a wedding reception. If you’re holding an outdoor wedding and you want your bridesmaids to wear heels, use this helpful tip. To prevent your bridesmaids from sinking into the ground while standing for the ceremony, just use small stepping stones for them to stand on. It’s also a way to mark everyones places. 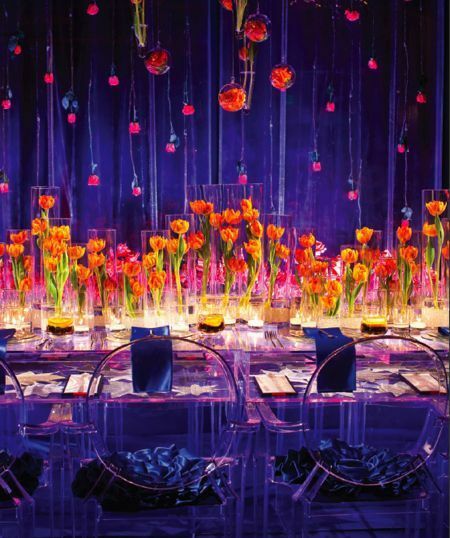 Throw in a touch of vibrant colors to your wedding reception, give it that high chic look straight out of Vegas. 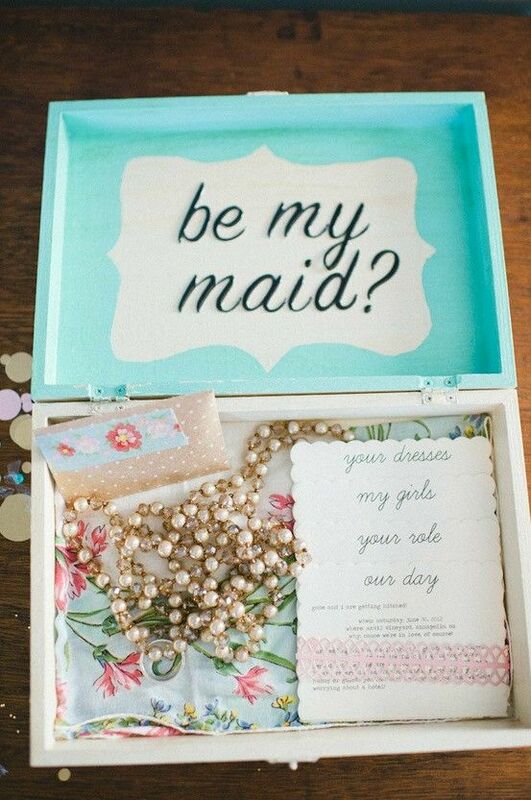 This is a very cute idea for asking someone to be your bridesmaid and it’s from Decoradvisor, see more ideas like this one by clicking the link above! Have Fun With Your Food. If you want to have your wedding be all glitz and glam do so, but also try to have fun. I was at a wedding this weekend, everything was beautiful and black tie. But during their cocktail hour, they had set up two mash potato bars that were a huge hit. It lightens everyone up and you’ll get some great compliments. 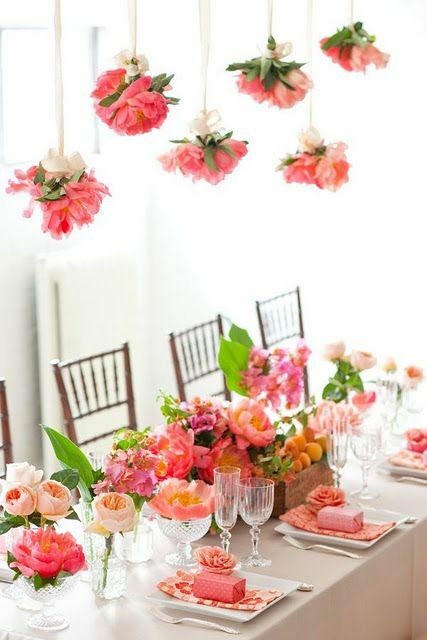 This idea not only creates a wonderful table scape of coral charm peonies and garden roses but it also creates a beautiful “chandelier” of peonies tied together in small bouquets. You can see more great ideas like this, by clicking here.